This abandoned underground structure is the remains of a long lost civilization. Old stories say that the builders were not human. They had a huge single eye, tentacles, and great mystical powers! 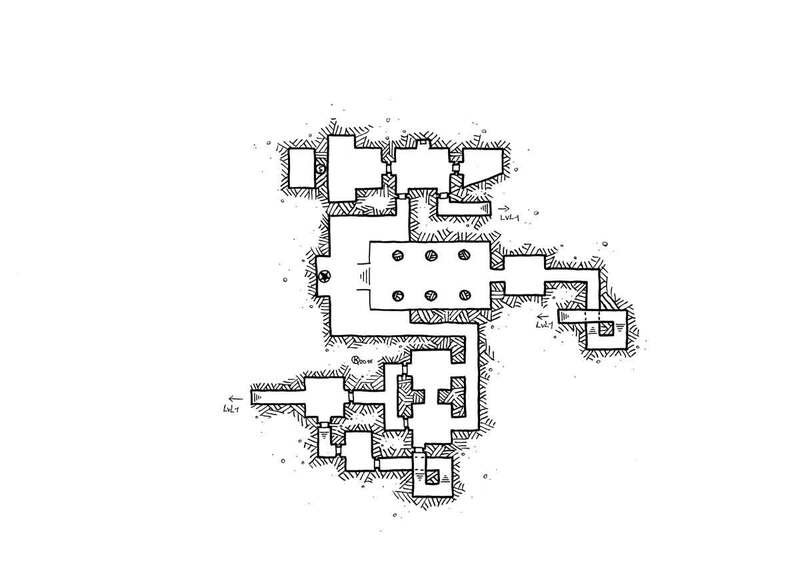 The dungeon has been cursed since their disappearance. It is frequently infested by wild creatures. The Duke Kangari had taken to organizing hunting parties in order to regulate the population of wild creatures to protect the surrounding population. The Duke lost his son to one of them. He gathered the best warriors available and plunged deep into the dungeon for a great cleansing. 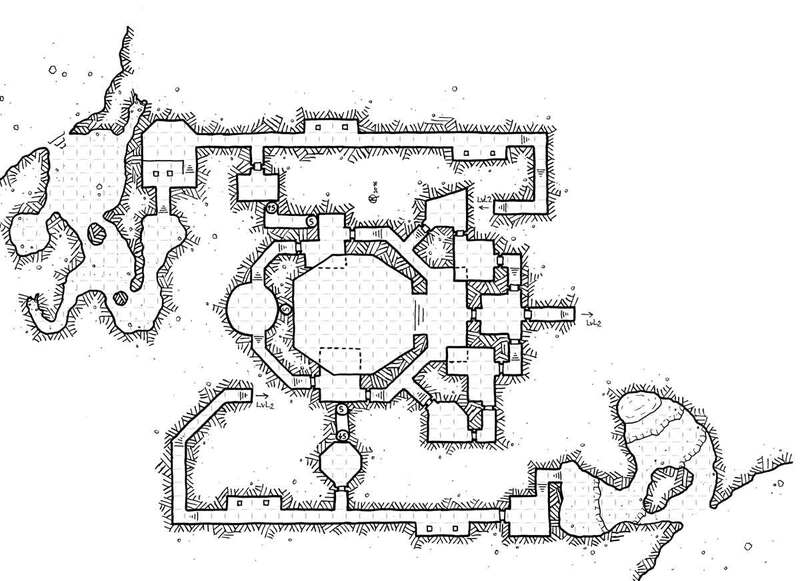 They found a giant spider colony on the second level, and they finally managed to kill their queen in the large octagonal room level 1. Unfortunately, the Duke was bitten during the fight and the powerful venom killed him a few hours after leaving the dungeon. Today, the story of the unlucky Duke Kangari and his faithful warriors is sung by the minstrels! Nobody has explored the dungeon since the death of the Duke but, today, instances of wild beasts attacking are becoming more frequent in the region. The keep is probably infested again. Who would dare brave the dangers to succeed in breaking the curse?